Now, more than ever, healthcare leaders are challenged with effectively identifying and addressing enterprise risk to avoid interruption in patient care, loss of revenue, regulatory penalties and loss of patient trust. To compound matters, these challenges are ever increasing due to heightened regulatory (and internal) scrutiny, a constant demand to reduce cost and the complexities of dynamic “IT Eco Systems” necessary to deliver. Having the facts about your enterprise risk is not a “nice to have”—it’s imperative—now more than ever. We understand these challenges and have specifically designed our Windows Fleet (Cyber Security) Information as a Service™ Solution to provide not only the facts that you need about enterprise computing devices but also, the on-demand response, systematic process and historical facts (records) required for success—all remotely delivered by Symphion as a Service. At Symphion, we understand that identifying enterprise risk requires not just cutting edge software but also an ever-vigilant effort to address the rapid changes associated with today’s dynamic IT Eco Systems. In delivering our Information as a Service™ solutions, we identified a universal need for a more extensive examination of the most prevalent IT assets, Windows-based computer devices, for weaknesses to address end-user created risk. We soon discovered that the US government not only embraced, but mandates regular examinations of these assets against a number of constantly updated data sources, including the National Vulnerability Database, identifying known patch deficiencies and weaknesses. Our solution is specifically designed to help filling the gap in security between end point (virus) protection and network security. That gap allows end-users to unknowingly introduce risk into the IT Eco System by behaviors such as downloading unauthorized software that affect browser security, not confirming patches installed and many, many others. We put the information (visibility) about those risks back in the hands of the IT security professional (who is capable and responsible for addressing it) and not the busy end user focused on patient care. To address this need, our teams use a combination of our cutting edge software products and our regular systematic process to deliver an ongoing dependable service—a result— not just software. We utilize our core agentless IT Asset Management and Configuration Reporting Software, SNIF™ , our newest cutting edge Secure Content Automation Protocol (S-CAP) , GS-1™ and our proven remote concierge delivery process to enable IT professionals. With the facts, they can identify risk, and can better establish, adapt and govern enterprise controls to address it and to comply with ever increasing regulatory (and internal) mandates. Compare each device’s configuration against the U.S. Government’s standard configuration and will rank and reporting all known vulnerabilities and weaknesses. —all with the goal of providing an actionable format to allow IT professionals to make important compliance decisions and address weaknesses that threaten their enterprise security. 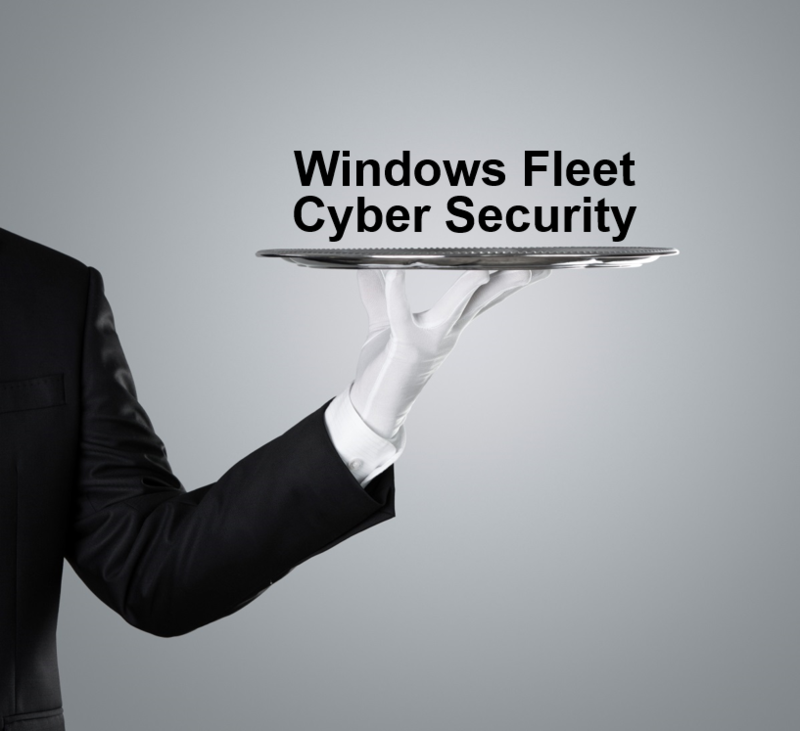 As with all of our solutions, Symphion concierge teams remotely implement, deliver and administer our Windows Fleet (Cyber Security) Information as a Service™ with minimally required fulltime employee involvement and with customers’ data remaining on customers’ premises.